F1 technical director Pat Symonds explains how the sport's bosses are using more evidence-driven grounds to make decisions for the future. Formula 1 technical director Pat Symonds feels simulation is helping the sport’s bosses get away from the “bad old days” of making “knee-jerk” rule changes without proper trials and evidence. Symonds is part of the technical team working under managing director Ross Brawn at F1 to evaluate possible changes to the sport in the future, having linked up with the sport’s commercial rights holder towards the end of 2017. 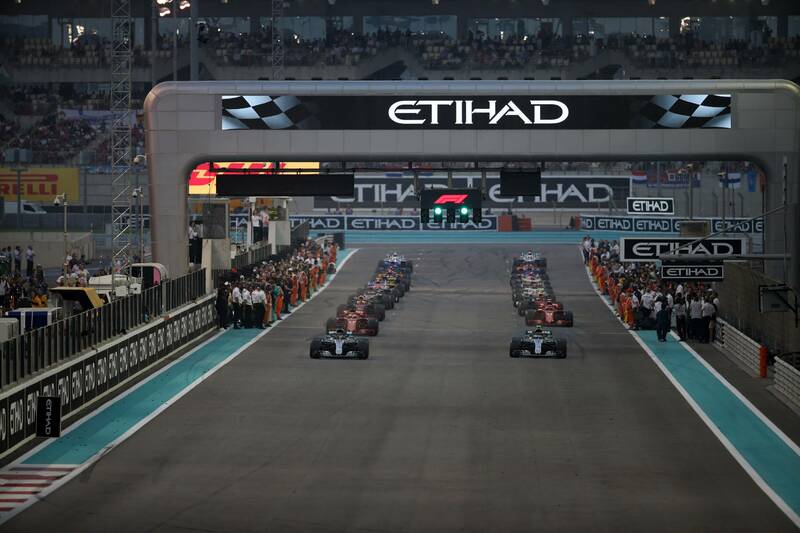 F1 officials are currently working to find ways to improve the racing product and consider potential rule changes, with widespread changes anticipated for 2021. Speaking at Autosport International in Birmingham last week, Symonds explained how simulation has become a key part of F1’s considerations moving forward, taking the use of different grid formations as one example. “Things are very fundamentally different in F1 now. When we make changes they’ve got to be based on evidence,” Symonds said. “We do want to make our decisions based on evidence and sometimes that’s quite difficult. Looking at the grid layout, in the ‘60s, there were a lot of cars side by side and over the years we’ve moved to this eight metre staggered grid formation. “We ask ourselves the question, what would happen if we move the cars closer together and have them side-by-side again, maybe two by two. Would we get a more exciting first lap with closer racing or would we just get more accidents? “When you want to simulate something like that for a physics problem, you get a trivial answer. If you start cars closer together and they accelerate at the same rate, they arrive at the first corner together, that’s not what you want to know. “What we want to know is what’s going to happen, so we build a simulation to use as artificial intelligence but so we can also put a human in. So we can actually have 19 AI cars racing one human and then we can start to run say 50 races. Symonds explained that he feels more evidence-driven decisions will help F1 avoid making snap calls, such as the decision to switch to knock-out qualifying at the start of the 2016 season (pictured above) which was reversed after two races. “We can make more rational decisions rather than knee-jerk,” Symonds said. “I think everyone remembers the farce of 2016 qualifying when just a few weeks before the start of the season someone decided to change the qualifying format. “Even though the teams said ‘this isn’t going to work and is wrong,’ it still went ahead. “We want to get away from those bad old days and work in a more scientific manner."